Grace and I love cooking together so one day after school last week I suggested we grab some ingredients from the shop on the way home and cook up a curry. Neither Dale nor I have a great tolerance for spicy food so we are trying to introduce spicier foods to the girls from an early age. 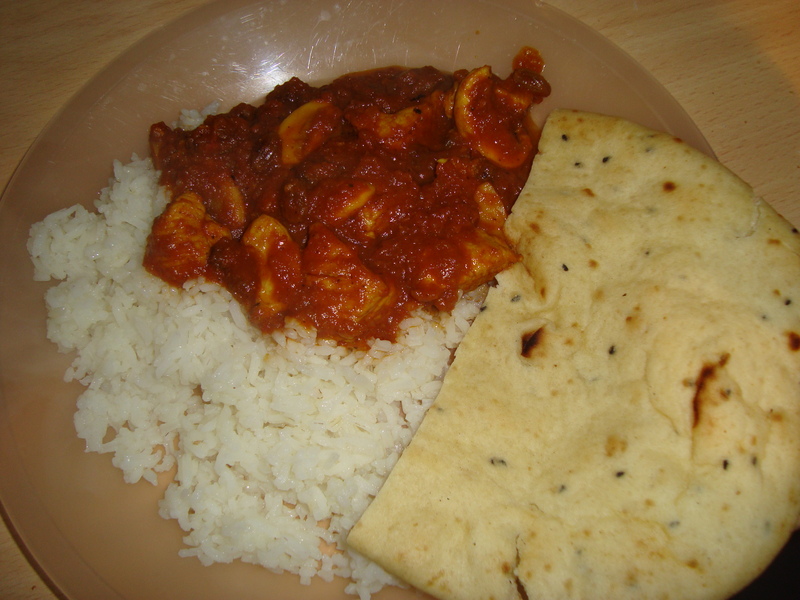 However, this is a pretty mild curry with sultanas for a fruity twist, which the girls really love. We were greedy and ate it with rice and naan bread! 1. Finely slice the onion. 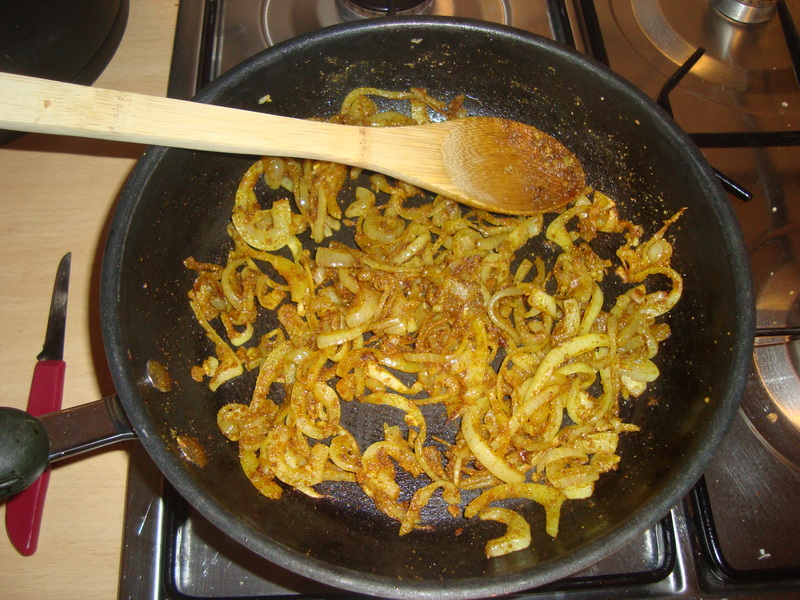 Heat some oil and a knob of butter in a pan and gently fry the onion for about 10 minutes until it is soft. 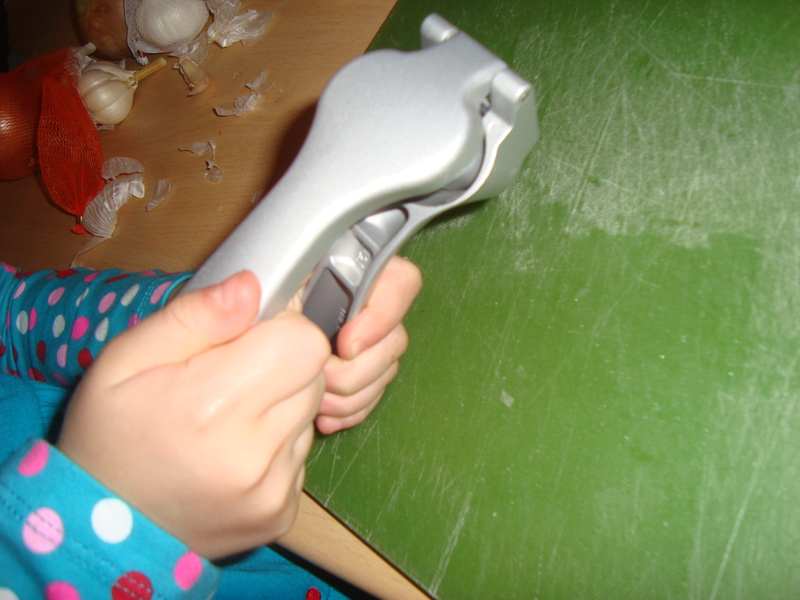 I love this gadget as it means the girls can keep their fingers out of the way when they are chopping fruit and vegetables. 2. 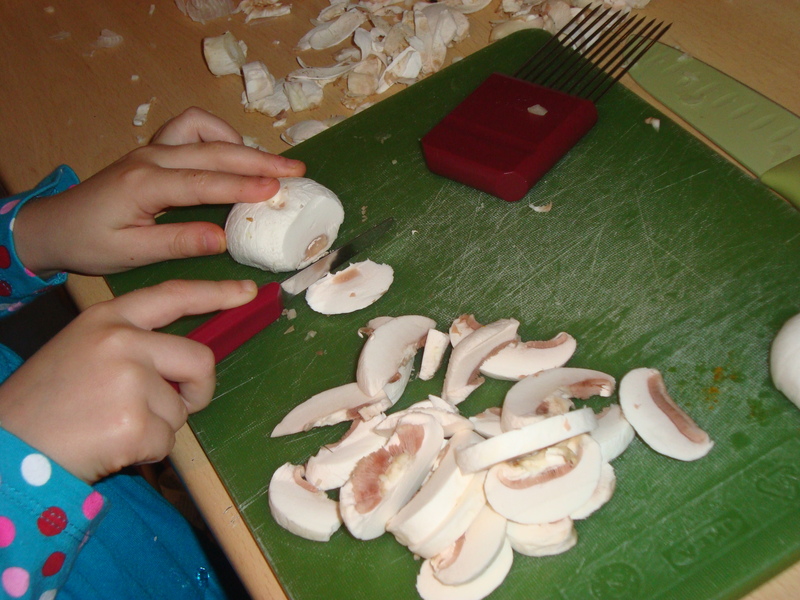 Crush the garlic and add to the onion in the frying pan and finely grate in the ginger. Fry for another couple for minutes over a gentle heat. 3. Add the spices to the frying pan and fry for 2 more minutes, checking the onion is soft. 4. Put the tin of tomatoes and tomato puree into a blender and add the onion mix. Blend until smooth. If you prefer a chunky curry just add the tomatoes to the pan and don’t blitz. 5. Dice the chicken and fry until brown, slice and add the mushrooms and fry for 2 more minutes until soft. 6. Add the curry sauce and sultanas to the chicken and mushrooms. Quarter fill the chopped tomato can with water, swill round and add to the curry. Paula tried out the recipe for me and added coconut milk instead of the water, which worked really well. 7. Simmer gently for 15-20 minutes, stirring occasionally. 8. Serve with rice and/or naan bread. Not only was the curry delicious but we had a great time in the kitchen together creating it. Grace did most of it herself and she was, quite rightly, very proud. That looks and sounds delicious! 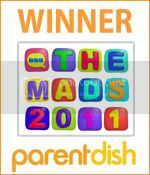 We all love curry and our Little Man has been quite open to trying new things this last while, so I will definitely have a go at making this! I can’t leave you any money so I’m leaving a comment instead – tee hee. This looks fab. Miracle of miracles, mine love curry. 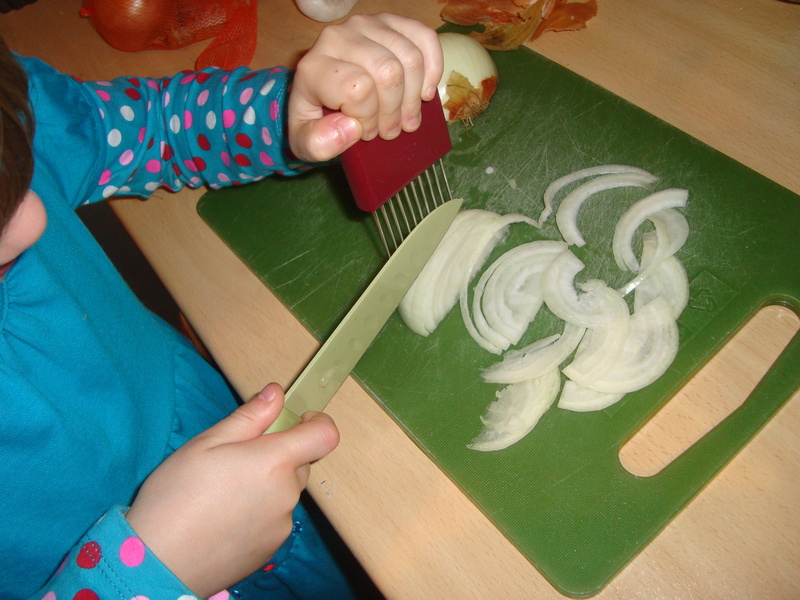 I really must get one of those onion choppy holder thingies, they’re fab! 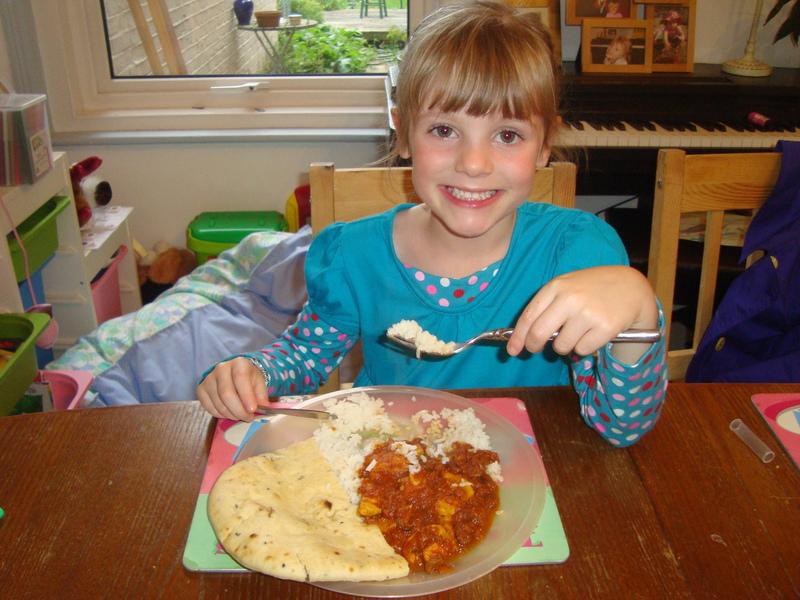 We love curry in our house and that looks delicious!